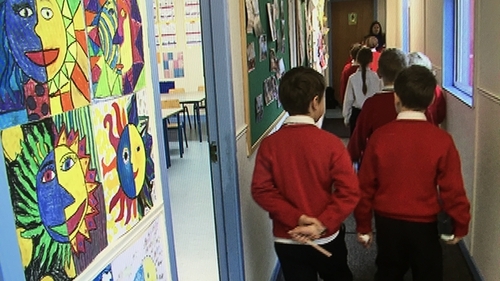 A new study which looked at the lives of nine-year-olds shows poorer outcomes for children from lower socio-economic backgrounds. The Growing Up in Ireland research, carried out by the Economic and Social Research Institute, shows an improvement in the families ability to make ends meet since 2013, but found that not all families benefitted from the economic up-turn. The research was carried out on group of nine-year-olds who spent many of their early years in a period of great economic uncertainty, when Ireland was in the depths of the recession. Data from more than 7,500 families were surveyed when the child was nine-months-old (2008-09), three, five and nine-years-old (2017-18). The research shows that there was a doubling in the number of families who had difficulty making ends meet between the time the child was 9 months old in 2008/09 and the time the child was five-years-old in 2013 (from 12% to 25%). The figure had dropped to 12% by 2017-18 when the study child was nine. Figures also show that the level of financial stress was greater in one parent families. Research Professor at the ESRI Dorothy Watson said the impact of the recession can clearly be seen on the families who took part in the Growing Up in Ireland study. Speaking on RTÉ’s Morning Ireland, she said that while things have improved for families, the improvement does not seem to have been spread equally across all groups. In terms of a child’s health, 17% of nine-year-olds were overweight and 5% were obese. Since they were five-years-old, the percentage overweight or obese had increased slightly from 20% to 22%. There were substantial inequalities in being overweight or obese, with a rate of 32% in the lowest income group compared to 14% in the highest income group. The study found that just one quarter of children were getting the recommended hour of exercise a day. The most common long-standing conditions, according to the mothers, were respiratory conditions (such as asthma), mental or behavioural conditions (eg ADHD) and skin conditions. The study also looked at nine-year-olds online activity and found that 23% had an online profile. Boys' profiles were largely related to computer gaming and girls' more often related to social media. Grandparents were also found to be important in the lives of children with two thirds of them seeing a grandparent at least once a week. The majority of children, since the age of five, have experienced at least one stressful life event, such as moving house or the death of a family member. Those children (around 8%) who had experienced three or more stressful events had a much higher risk of emotional or behavioural problems than the children who had not experienced these life events.